Rediff.com » Movies » Surveen Chawla is pregnant! 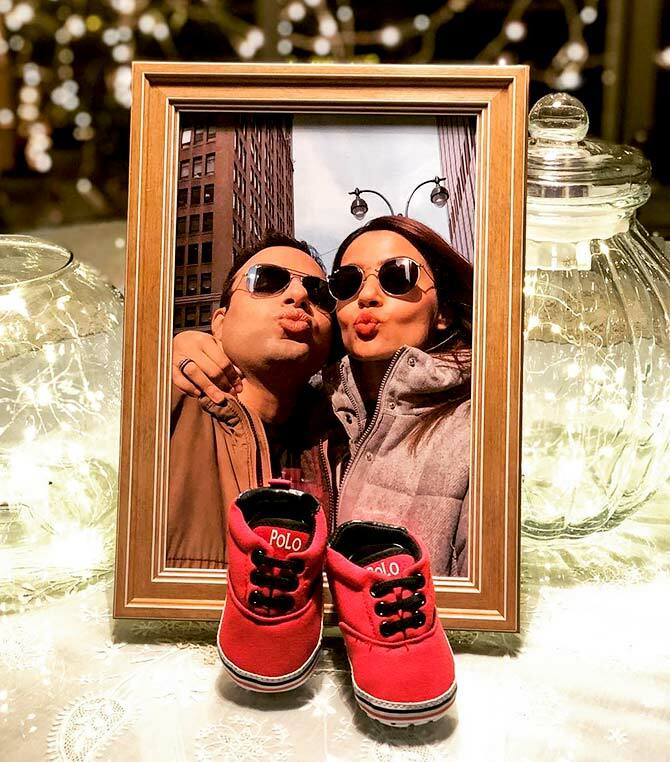 Surveen Chawla, who was last seen in the hit Netflix show Sacred Games, announced her pregnancy on Instagram in the most adorable way possible. The 34-year-old posted a picture on her Insta feed, above, and wrote, ‘Life happens when it chooses to happen, when it wants to happen. And it is happening right now in this very moment, making our blessed and beautiful world even more blessed than what it already is. As soon as the Hate Story 2 heroine revealed the good news, congratulatory messages started pouring in. Surveen got married to beau Akshay in a private ceremony in Italy two year ago. She announced her marital status a year later by sharing pictures on social media. Doesn't Surveen Chawla look HOT? Have you seen Misha, Yash's adorable pix?